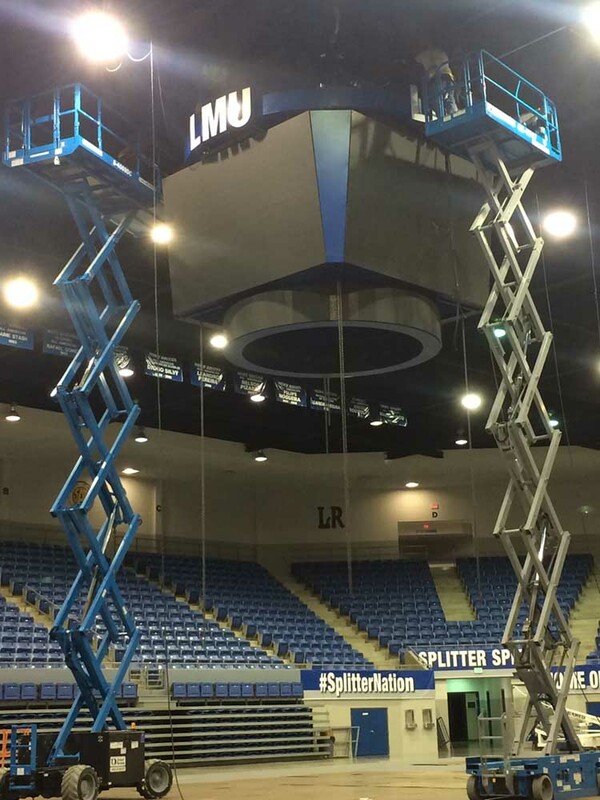 Dec 12th, 2016: Installation of LMU's Arena Center Hung LED Display began in Harrogate, TN. 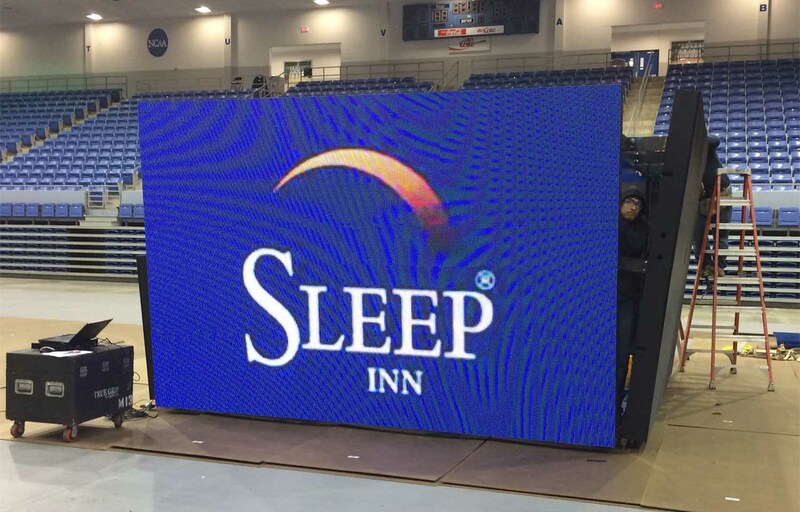 The display consists of four sides, 8.4' x 12.6' wide (256 x 384 matrix), with an LED Ring underneath, 2.1' x 43.05' around (64 x 1312 matrix). 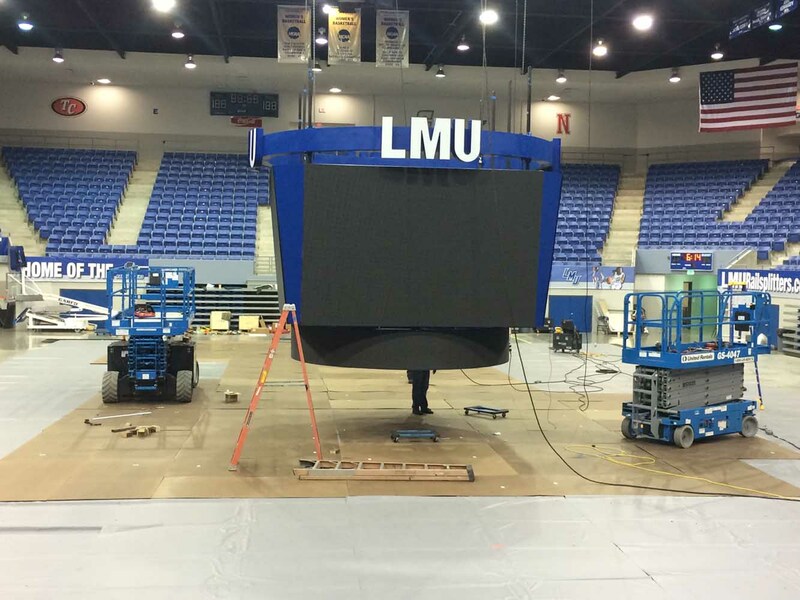 477,184 total LED pixels are going up to enhance the fan experience for LMU Railsplitter basketball games.  Stay tuned here for the latest installation updates. 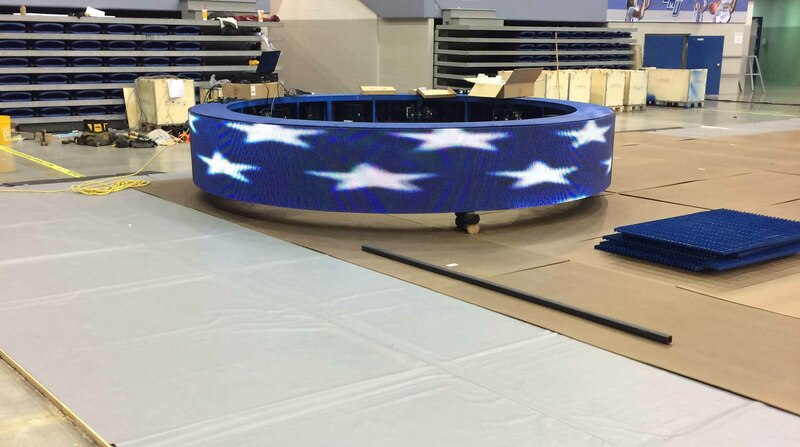 After the ring was assembled all systems were checked and tested with flying colors (RED, WHITE, and BLUE!). 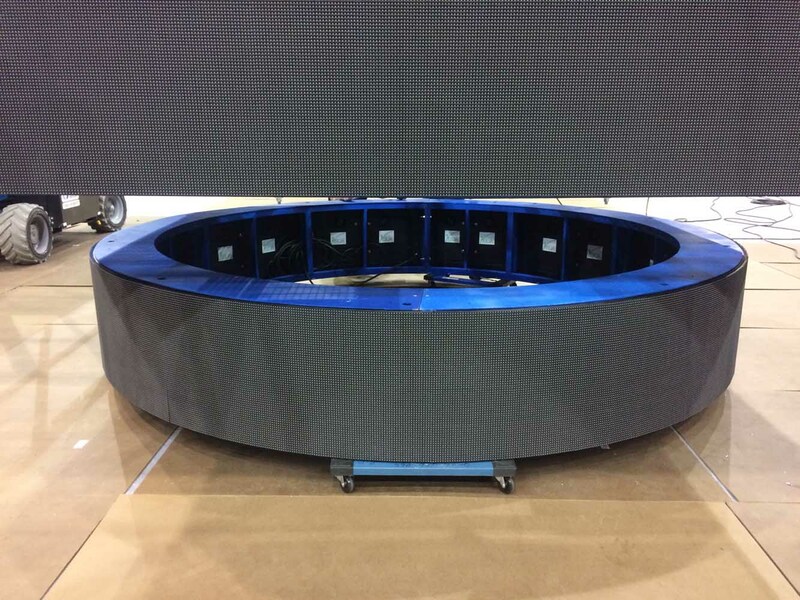 Later in the afternoon the main boards were also assembled, turned on, and tested. RIGHT on schedule! 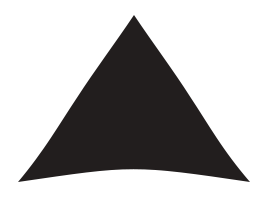 December 14th, 2016: Board raised! 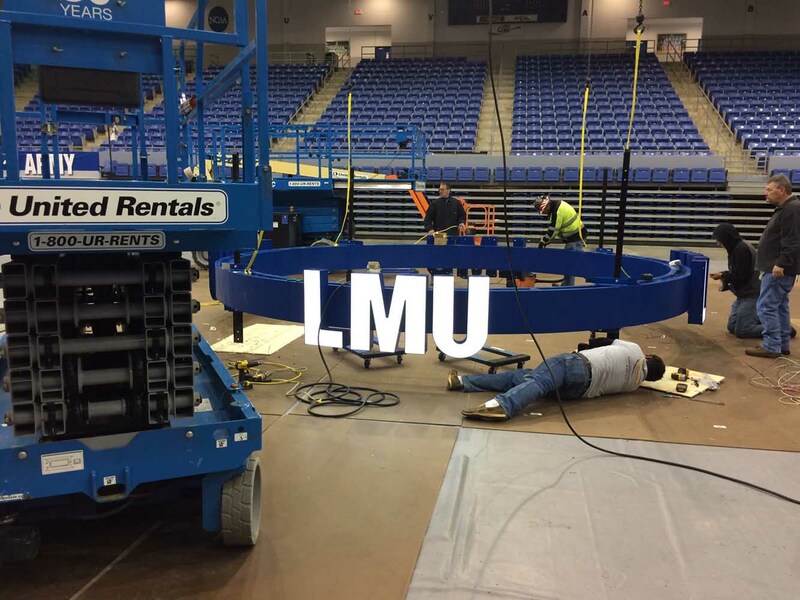 After final assembly of the three pieces (Upper Ring, 4-sided, and Lower Ring), the board was raised! 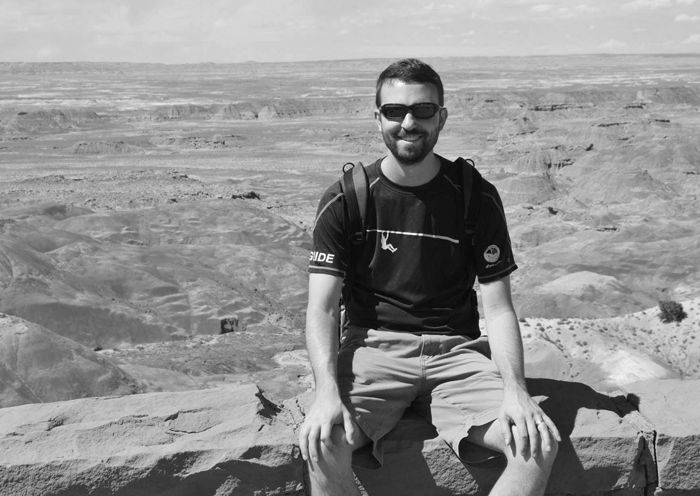 After a successful raise of the board, all systems were tested and synced with the MotionRocket Launchpad Mini. 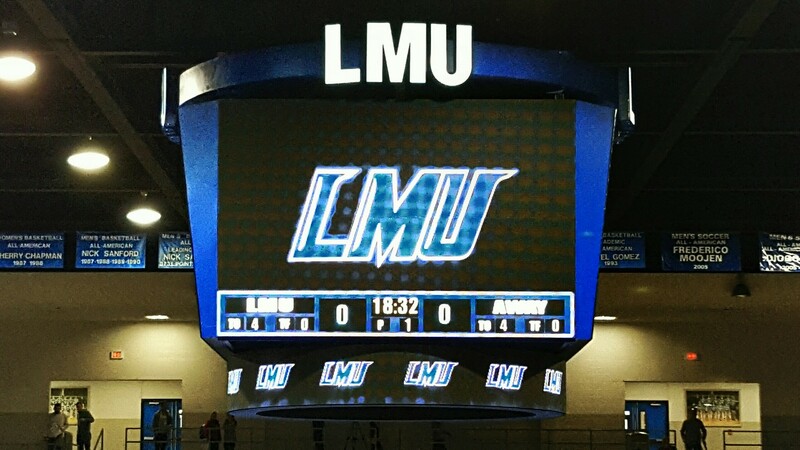 A Scorebug was prepared and primed for the first game with the new board! 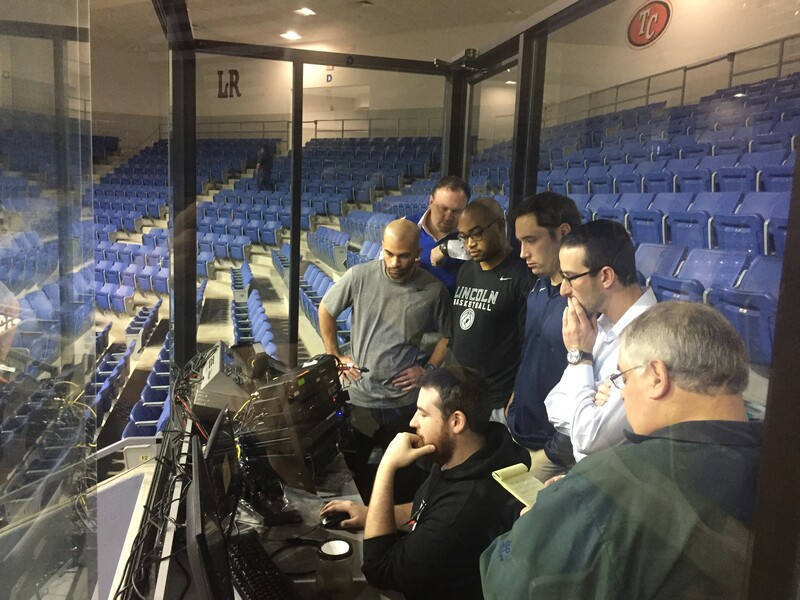 The LMU staff was trained on all systems in preparation for the first game.